As promised I have hunted down some more “former freebies” that were removed during the website conversion. You should be able to download any that are of interest by clicking on the image. If you would like to share these freebies, please direct your friends here to download them rather than sharing the files directly. A snowman digital stamp. This was made a few years ago when we had a winter when it just would not stop snowing. Explains the sentiments huh? I hope you enjoy the files and find them useful. Stay tuned this week for some actual new products (*shock*). This entry was posted in Digital Craft Kits, Digital Stamps, Freebies and tagged Digital Stamps on October 28, 2014 by Cathy. Just a quick post to introduce you to some wonderful new Creative Team Members who will sharing their amazing, creative projects. I included blog links in case you would like to check out more of their work. I’m looking forward to sharing their lovely creations. In the meantime, here are a few already- made using the Nurture Digital Kit. This entry was posted in Digital Craft Kits and tagged DigiChick on February 26, 2014 by Cathy. In my first post of the new year, I want to say thank you to everyone who has joined our little crafting community. You are all awesome! If you would like to join our group of creative papercrafters, you can sign up to the email list here. 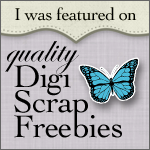 Exclusive free content including mini-kits, cutting files and digital stamps. I have even bigger big plans for this year. I’m actually getting organized and creating an editorial calendar (I feel so grown up just saying that). As I work on my all-grown-up editorial calendar, I would love your feedback on what you would like to see. What types of free content are most useful? Mini-kits? Cutting files? Full project kits? What topics for tutorials are you most interested in? Another class like the Hybrid Happiness Cardmaking Class? Tutorials for using your digital die-cutting machine? Hybrid project tutorials? Please leave a comment below – I would love to have your opinion. This entry was posted in Digital Craft Kits and tagged Digital Scrapbook Kits on February 15, 2014 by Cathy.